One of the benefits of the return of my creative energy is that I finally completed the chart for the I Love Cross Stitch sampler. This sampler is only available to a small group of ladies in the Belle SAL group. I will be forever grateful for the patience and the support that these ladies gave me while they waited for me to get my act together and finally release the pattern. Now that it is released, it is so much fun to see what the sampler looks like in all the different colour schemes which my fellow stitchers have selected. 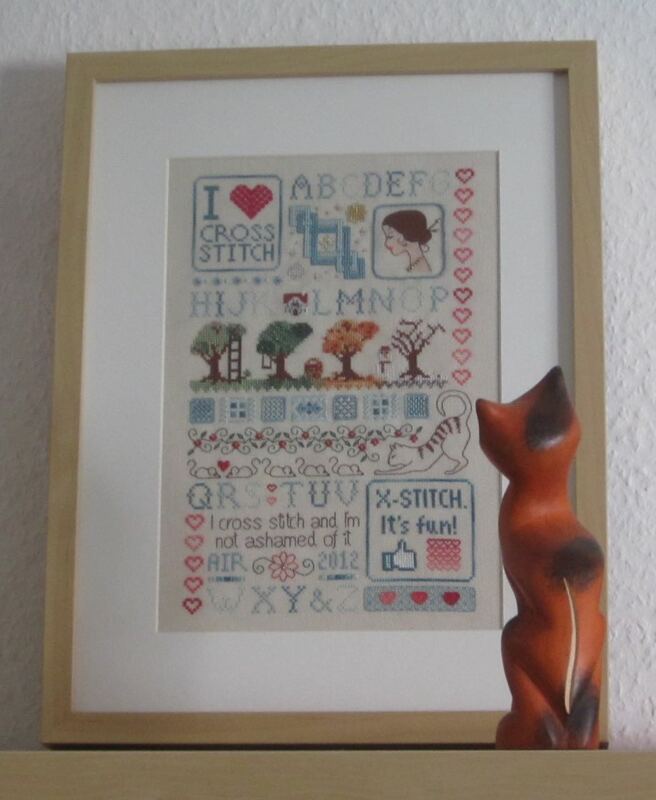 I can barely wait to see what all the finished pieces will looks like… and what modifications are made to the sampler!